Be a part of Tonawanda's Comprehensive Planning efforts and share your knowledge of the City's neighborhoods! 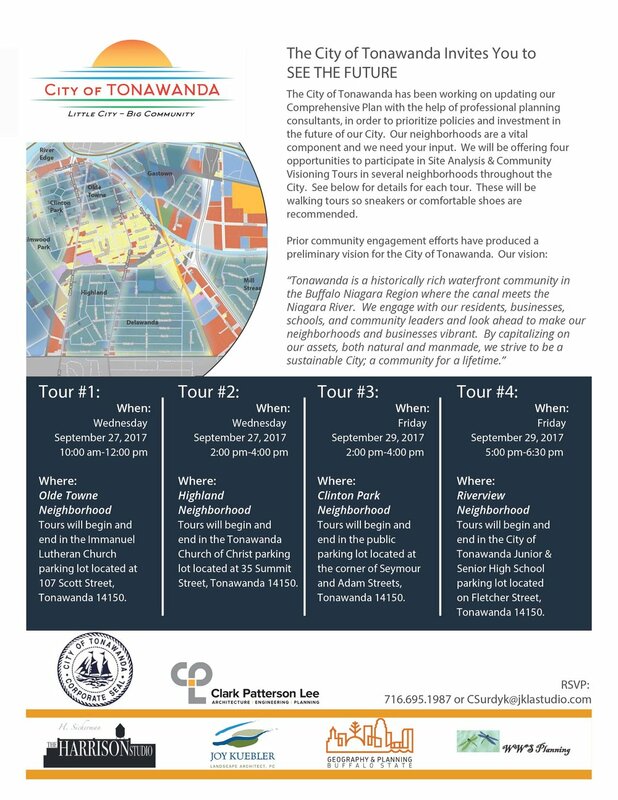 There are four opportunities to join a Site Analysis & Community Visioning Tour with two tours on September 27th and two tours on September 29th. Information gathered during the tours will help plan the future of the community! RSVPs to 716.695.1987 or csurdyk@jklastudio.com appreciated!